Mint and chocolate. Need I say more? I happen to love the combination in all sorts of dessert forms – cheesecake, brownies, etc. 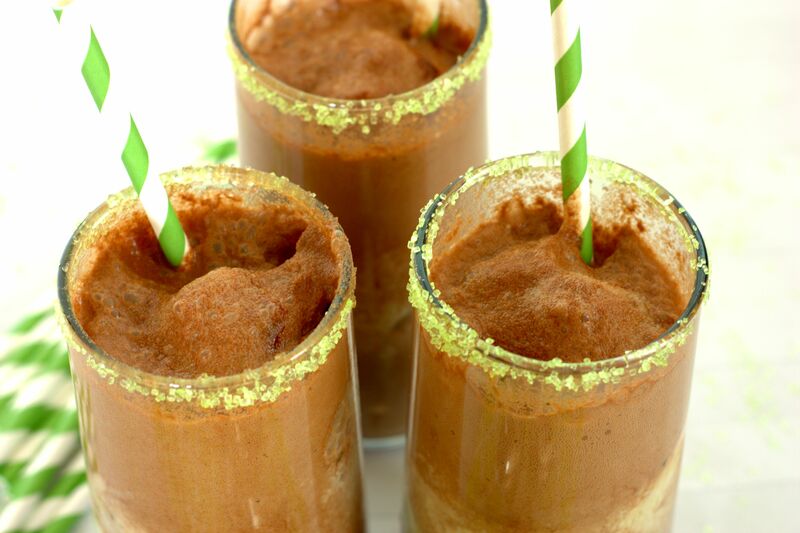 For today’s treat I thought a grasshopper soda float would be a fun take on the frozen pie. While you can buy chocolate soda, it is super easy to make your own by stirring together chocolate syrup and club soda. 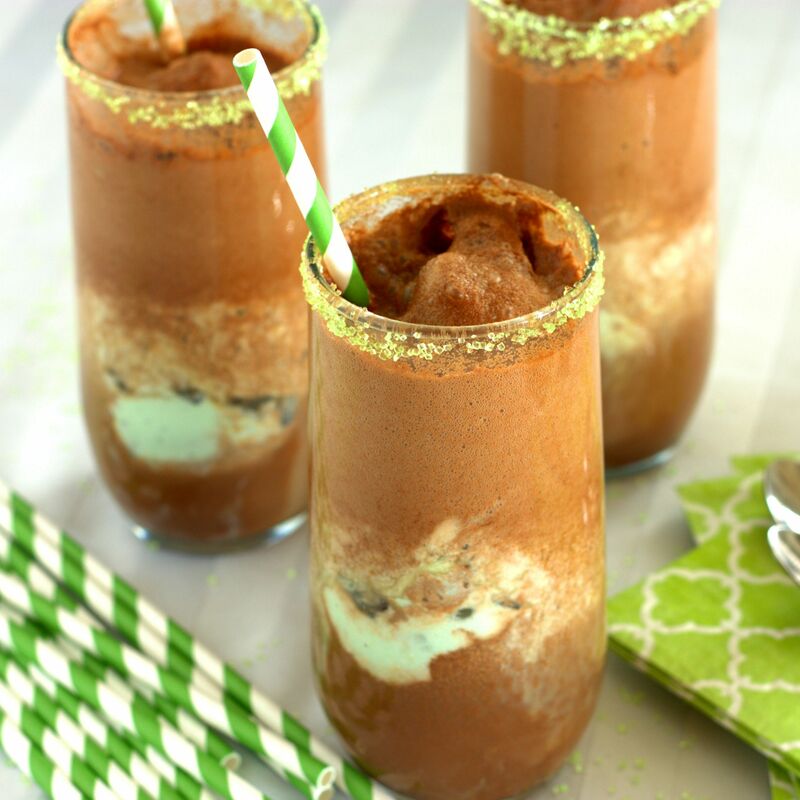 A few scoops of mint chocolate chip ice cream is added to the bottom of a tall glass (preferably narrow to trap the fizz) and the chocolate soda is poured on top to create the deliciously simple dessert. Dig in with a tall spoon and a straw or two. In my house the kids barely came up for air, attempting to drink the grasshopper soda float in one sip. The adults showed a bit of restraint and managed to stretch their consumption to a few gulps. I think I have found a new summertime favorite treat! In a large pitcher, stir together the chocolate syrup, and club soda. 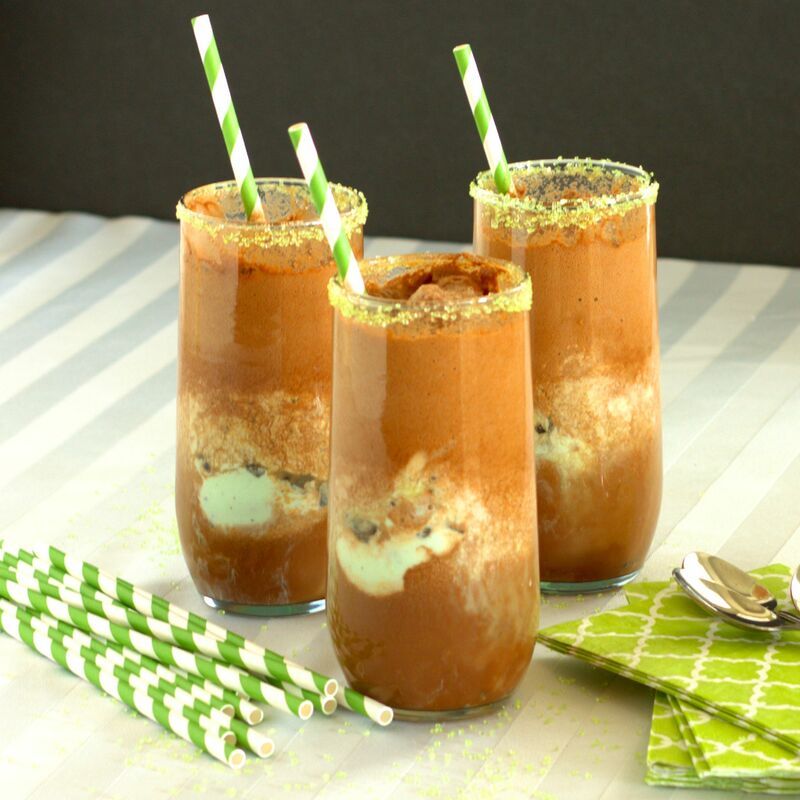 Add 3/4 cup mint chocolate chip ice cream to each of four highball or tall glasses. Evenly pour the chocolate soda over the ice cream. Sprinkle with green sugar (if desired) and serve.